Edith Parrish Clark, beloved Mother, Grandmother, Great-Grandmother and Great-Great Grandmother passed away peacefully on Monday, November 13. 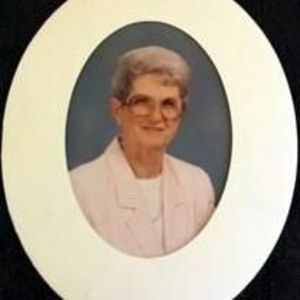 Known to many as Edith, Mimi, Memaw and even Lena, she both loved and was loved by all those who were graced with her presence. Edith's joy for life and for those who accompanied her in her life journey revealed her great caring and often humorous spirit. She chose to gift her family with a strong sense of belonging. Always known as a baker, she shared her gift of cookie and cake making. She led in the pumpkin carving and the dying of Easter eggs. She comforted crying babies and new parents alike. Edith's strong commitment to her church was a testament to her belief in God and her work within the church reflected that commitment. Her church family, Women's Circle and most especially the Farsi church community of Forest Hills Baptist Church brought great meaning and activity to her living. Predeceased by her dear husband, Reverend Jack Clark and son Howard Clark, Edith is survived by her two daughters and their families, Cynthia Clark Brown and Samuel T. Brown, III, Samuel T. Brown, IV and Daniel Clark Brown of Raleigh; and Carol Clark Beasley and Stephen Beasley, Kimberly and Torre Moore, Marland and Jade Cook, Eric Clark, Kimora Moore and Jahleel Gill of Petersburg, VA. Also surviving her are sons of Howard Clark, Jackson and Jacob Clark and wife, Donna Clark of Charleston, SC. The family would like to extend their greatest appreciation to Forest Hill Baptist Church and the Farsi community, to Elmcroft, to Transitions LifeCare Hospice and to Edith's longtime friends Shirley and Vernon Abbott, Pat and Asad Hashemi, and Eileen Brinkley. A funeral service is scheduled for Monday, November 20, 2017 at 11:00am, with visitation one hour prior, at Forest Hills Baptist Church, 201 Dixie Trail, Raleigh. Burial will take place at 2:30pm at Pine Hill Cemetery, 333 E Summit Ave, Burlington, NC. In lieu of flowers, contributions can be made in Edith's honor to the Farsi Ministry of Forest Hills Baptist Church or to Transitions LifeCare. Arrangements by Brown-Wynne, St. Mary's Street, Raleigh. Condolences may be made at BrownWynne.com.